With the recent Haze coming back to Singapore and the harmful UV rays, all these will result our skin being dull and uneven skin tone. 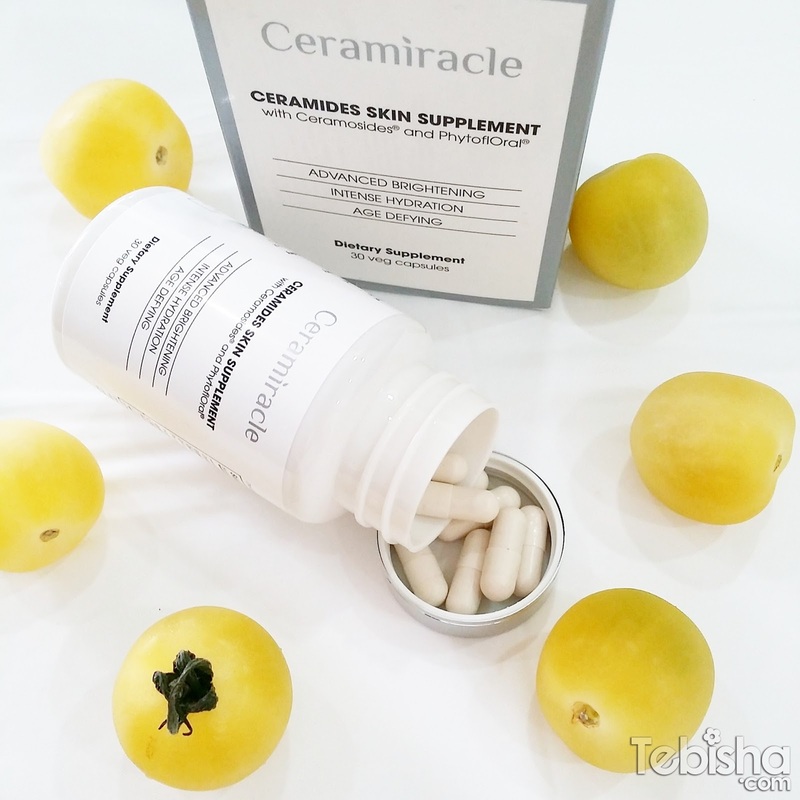 Ceramiracle launched this July, the Ceramides Skin Supplement to help ladies in gaining Brighter, Clearer, Hydrating and Youthful skin. collaboration with Ceramiracle Australia and CIT Korea, Ceramiracle is an anti-ageing and whitening line of supplements and skin care products developed for the Asian skin. Ceramides Skin Supplement is the brand first product, a premium and advance anti-ageing formula featuring two patented ingredients backed by four clinical studies. At just one capsule a day, Ceramides Skin Supplement can dramatically increase skin hydration, reduce fine lines, brighten and even skin tone in 15 days. A world’s first, Ceramides Skin Supplement also contain a standardized gynostemma pentaphyllum extract specially developed by Tek Eight. Ceramosides – patented extract containing a highly concentrated complex of phytoceramides and digalactosyl diglycerides (DGDG). Ceramosides is clinically proven to improve skin hydration and skin texture in just 15 days. PhytoflOral – patented white tomato extract standardized for the colourless carotenoids phytoene and phytofluene, PhytoflOral is clinically proven to brighten and lighten skin tone by resisting sun damage and inhibiting melanin synthesis. My Reviews: I have been consuming Ceramides Skin Supplement for 2 weeks, my skin seems brighter and supple (hydrating). My skin became less sensitive, these few days with the haze my skin doesn’t show any signs of redness and dullness. For reduce fine lines and wrinkles, it didn’t really works on me cause my skin is not at the ageing stage (no obvious lines and wrinkles yet), so I can’t tell if there any reduction. 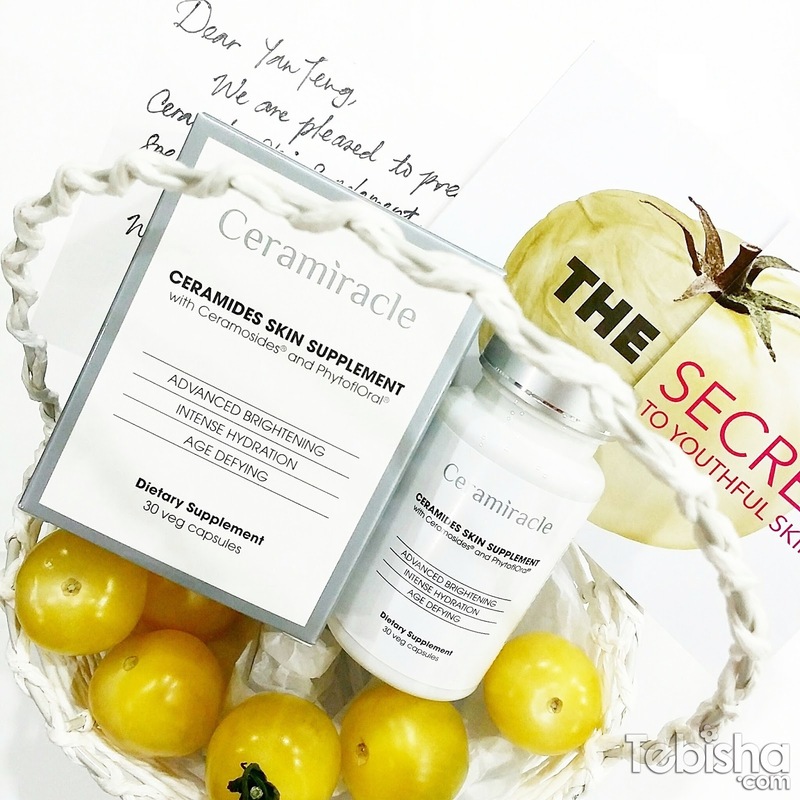 But Ceramides Skin Supplement definitely helps me in getting brighter and radiant skin. Ceramiracle Ceramides Skin Supplement is manufactured in Singapore in a HSA-approved facility under Good Manufacturing Practices (GMP). A pack of Ceramides Skin Supplement costs $89, containing 30 vegetarian capsules for a month’s usage. FREE Shipping for all Singapore Orders and flat $10 delivery worldwide!